The 2018 Grantchester Charity Runs are Done! Thanks to everyone who helped out at this year’s Grantchester Charity 10k & 3k. Especially those who made sure it didn’t rain, wasn’t too windy and not too hot! 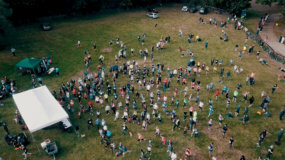 The GCR website grantchester10k.org is being updated with results and pictures and this spectacular video from Club member Will Anderson’s drone.